1. Universal fit for most cars, trucks and SUVs. 2. 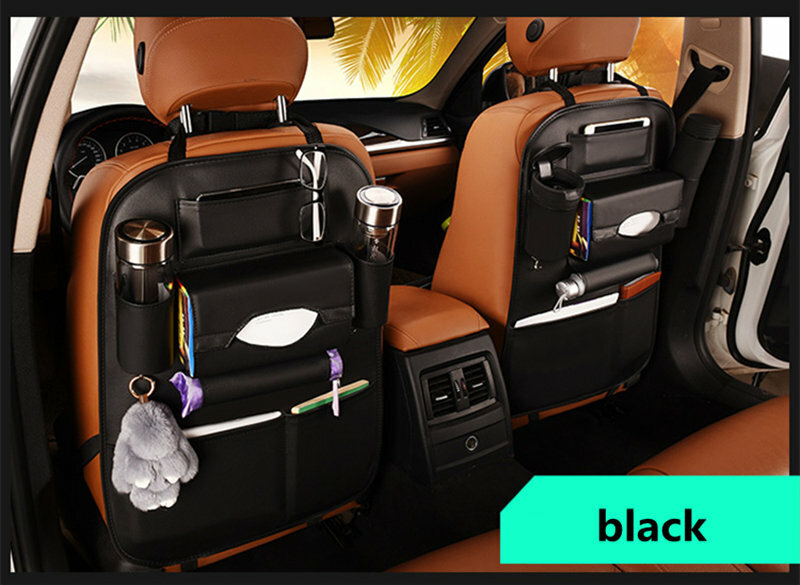 Keeps your vehicle's interior well organized and protect your backseat at the same time! 3. Large storage space to meet the daily needs. 4. High quality material, made of high quality PU , easy to clean.